PT. Cipta Satria Informatika had established partnership with Sophos a developer and vendor of computer security software and hardware to support our customers for the need of security in their IT infrastructure thoroughly. Sophos is providing communication endpoint, encryption, network security, email security and mobile security as well as Unified Threat Management products. 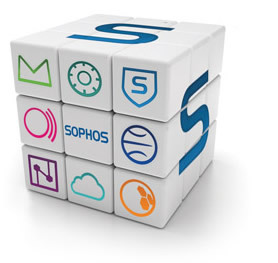 Sophos is largely focused on providing security to organizations and businesses. Our customers are safer in our world because Sophos Complete Security Suite protects everywhere, from your network, to your servers, endpoints and mobile devices too. And, because it’s all from Sophos, it works better together. And it is so simple to use, you will actually turn it on—delivering best protection that saves you time and money. Sophos Complete Security Suite is ideal for organizations of any size needing complete protection that is easy to manage. One license includes complete threat and data protection across all platforms, plus 24/7 support and free updates. Endpoint, mobile, and web security – licensed per user, not device. High performance security for your most critical systems and data.